Earlier OpenOffice.org was an open-source office suite. In 2011 Oracle announced the discontinuation of the OpenOffice.org project which was then separated into two different projects named Apache OpenOffice, part of The Apache Foundation, and LibreOffice, part of The Document Foundation. Both groups have a different philosophy on software development and have taken the project forward in slightly different ways. Both are available for various platforms like Microsoft Windows, Mac OS and Linux distributions. 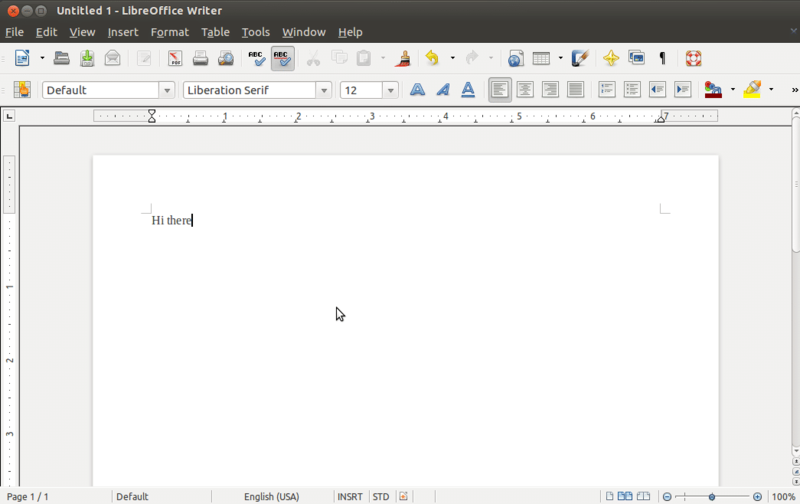 LibreOffice is the default office suite for some popular Linux distributions like Ubuntu which gives it a boost. Both are still popular among their different users and they are releasing regular updates. This article looks at how exactly OpenOffice and LibreOffice are different from each other and which one of them can be more useful for you. Both OpenOffice and LibreOffice are open-source office suites which are free to use application software. But Apache OpenOffice is slightly behind LibreOffice in terms of software releases. As we speak, the latest version of LibreOffice is 5.4.1 while the Apache OpenOffice is on 4.1.3. LibreOffice releases new features and bug fixes more frequently as compared to Apache OpenOffice. There is major difference in the installation process of Apache OpenOffice and LibreOffice for the Ubuntu system. Apache OpenOffice doesn’t come pre-installed in any Linux distributions, the user first needs to download the installer for their Linux system and install it manually. LibreOffice on other hand comes pre-installed in the most recent Ubuntu Linux distributions or by default in repositories and can be installed easily from Ubuntu Software Center. Actually this not a major difference but for users who are not familiar with any kind of installation process, LibreOffice is easier to get started. Math – A tool for creating and editing mathematical formulas. The normal user will not be able to see many differences in both the office suites but there are still minor but interesting differences. In the case of Apache OpenOffice, the sidebar is enabled by default while in LibreOffice the user needs to enable it manually using View tab. Click Tools -> Options then select LibreOffice -> Advanced and check Enable Experimental Feature and restart LibreOffice. Now click View -> Sidebar. Once you enable Sidebar in LibreOffice both the office suites look similar. 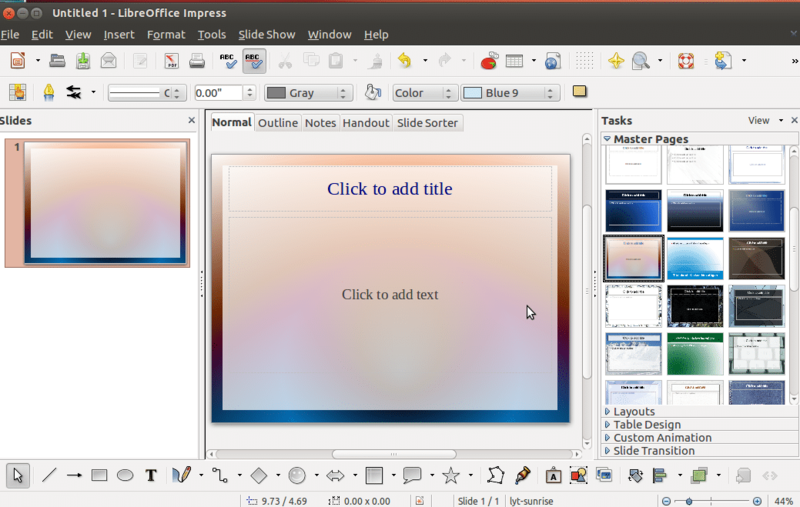 LibreOffice users can control Impress presentations from their android smartphones which is a very cool feature. Unfortunately this feature is not available in Apache OpenOffice. Go to Font tab -> File -> Properties. Embedding font is a very important feature; it ensures that your document file will appear the same on any system even if the font used is not installed on the other system. 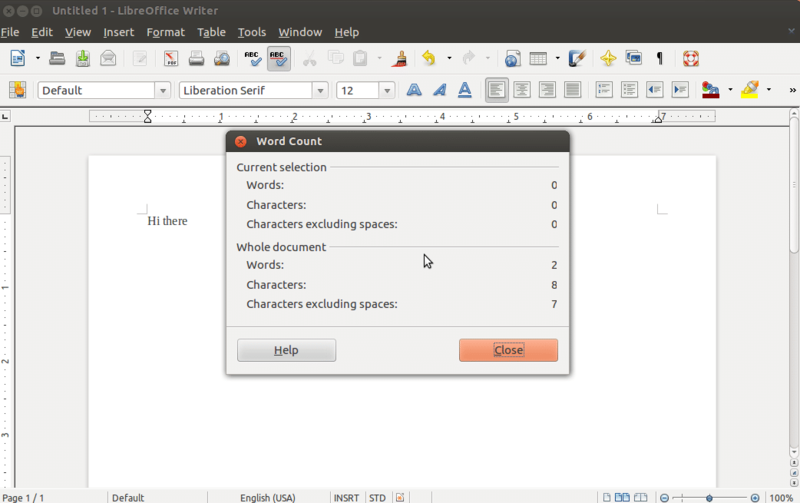 In LibreOffice’s status bar, the word count is updated automatically for the current document. In Apache OpenOffice word count doesn’t update and show it automatically in the status bar. The user needs to go to Tools -> Word Count to view the count whenever he/she needs it. The LibreOffice uses a dual LGPLv3 / MPL license, while the Apache OpenOffice uses the Apache License. Any changes or improvements in Apache OpenOffice can be incorporated into LibreOffice but changes in LibreOffice cannot be incorporated in Apache OpenOffice. These office suites supports file extensions like .doc, .docx, .XML, etc. In the end both Apache OpenOffice and LibreOffice have their advantages and disadvantages so it doesn’t matter which one you should or shouldn’t use. Both are user friendly and powerful office suites which are completely free to use.